I want to share a new company that I find to be really awesome! WANDER Beauty. WANDER Beauty is a MADE IN THE USA, Cruelty Free, Paraben Free, Phthalate Free and Fragrance Free brand. I LOVE that not only is the product so luxurious and gorgeously packaged, there is so much thought and health conscious wellbeing, packed into these as well. 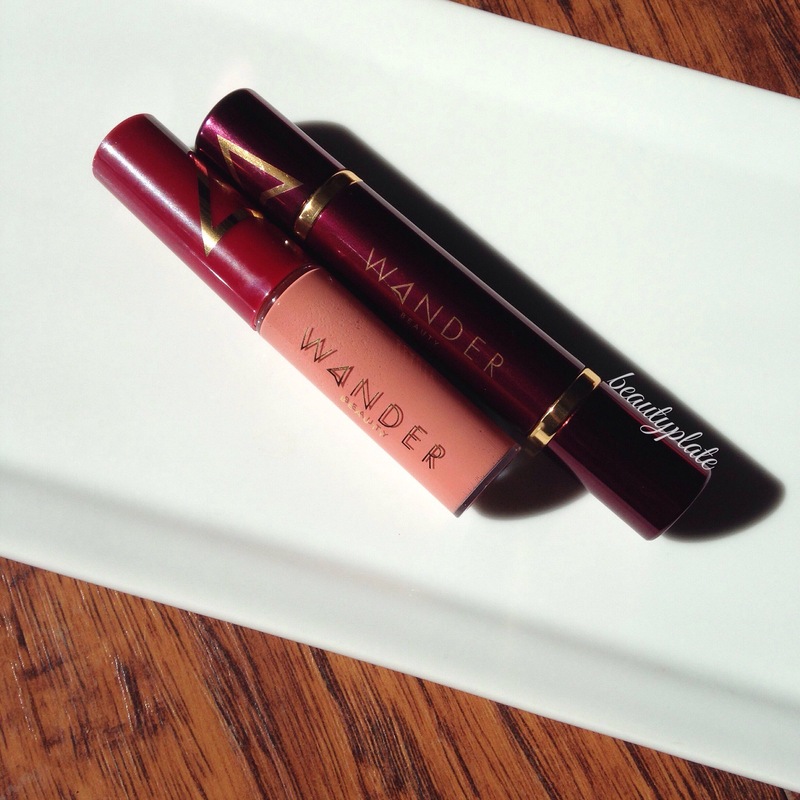 Let’s take a look at the Wanderout Dual lipsticks. These dual-ended lipsticks are infused with exotic moisturizing-enriched oils from 8 different countries, that will leave your lips with a rich moisturized matte finish. In 1 lipstick barrel, you get 2 colors. Each lipstick joins together by a Maroon middle tube completing the barrel. They are $30 exclusive to Sephora.com and Wanderbeauty.com Available in 4 color combos. All which are of beautiful color pairing. 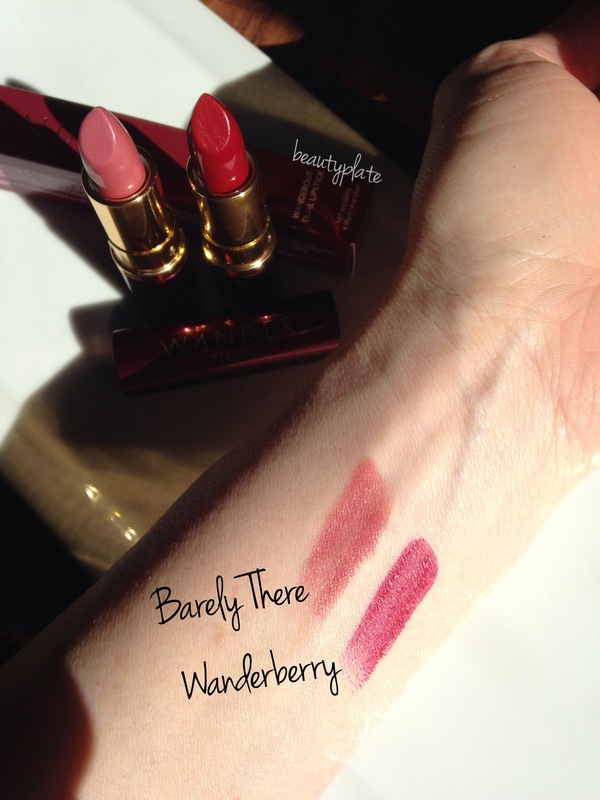 I have the color Wanderberry /Barely There. 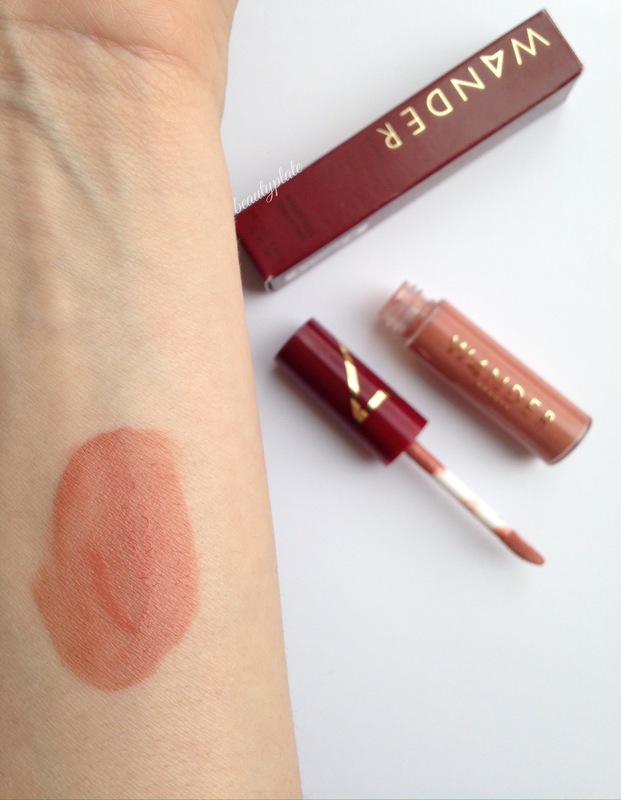 Here’s a swatch…. I LOVE LOVE LOVE how pretty this lipstick is. 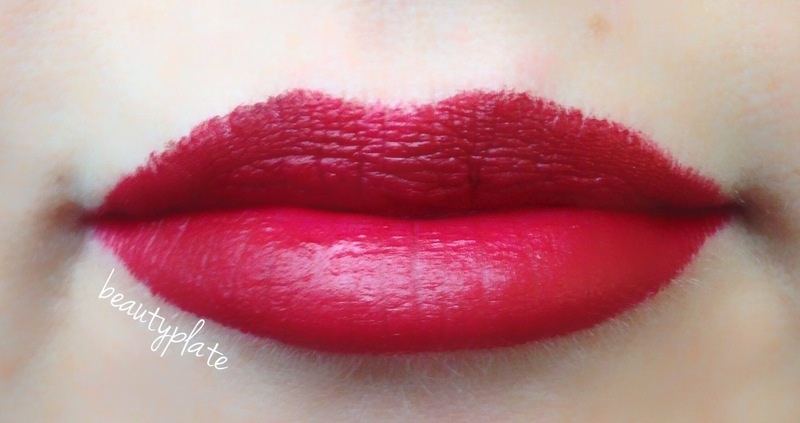 It’s able to take me from a soft daytime look, to a bright and bold lip for night. 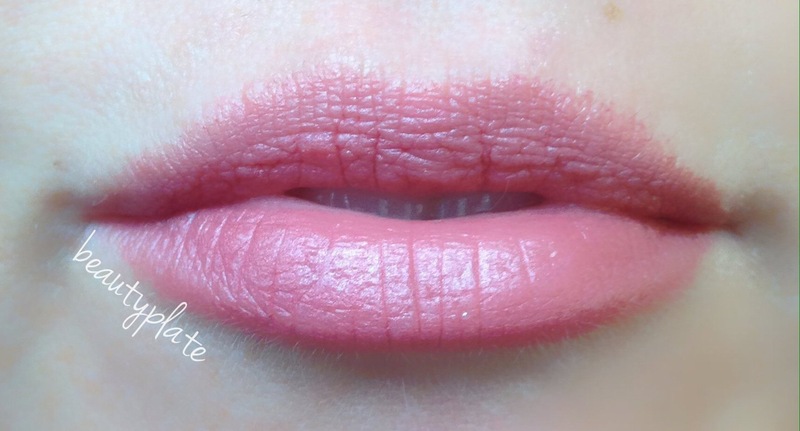 The colors are sheer enough but also with a few swipes, buildable for a deeper and more coverage application. 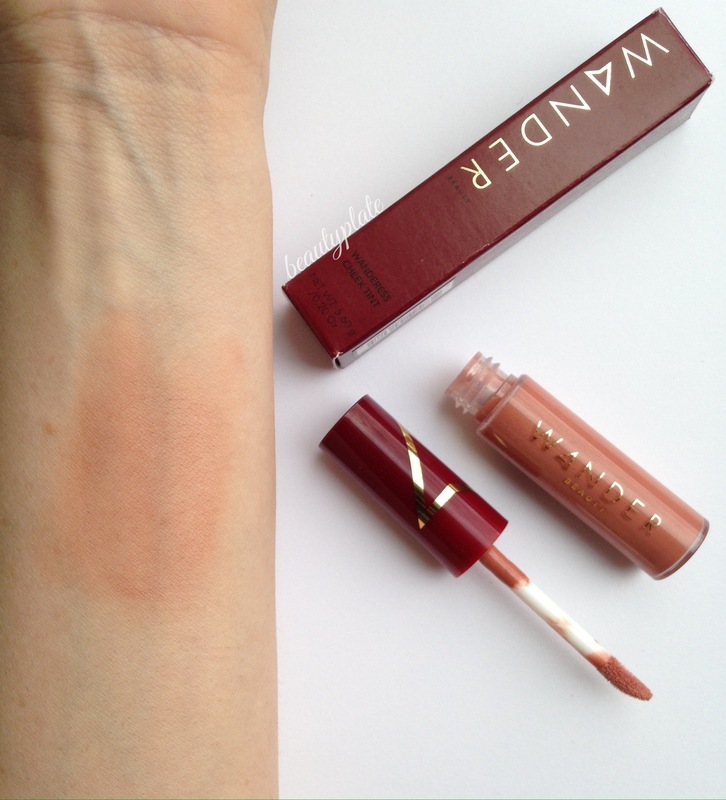 Next up…Wanderess Cheek Tint. It’s in the color Dusty Rose. Here’s a swatch of the color…. It’s a Gorgeous color. Buildable to your liking. When I applied this, I used the wand and gently in a circular at motion, applied on my cheek, but stopped when the tint was still thick and wet. (Like above pic) I then let it dry a bit until it was slightly wet but almost dried and then proceeded to use my finger to rub the product in for a more even application. I love that this is finger friendly application tint, because I can use this on the go and easy do touch ups throughout the day if needed. Without carrying so many tools in my pocketbook. 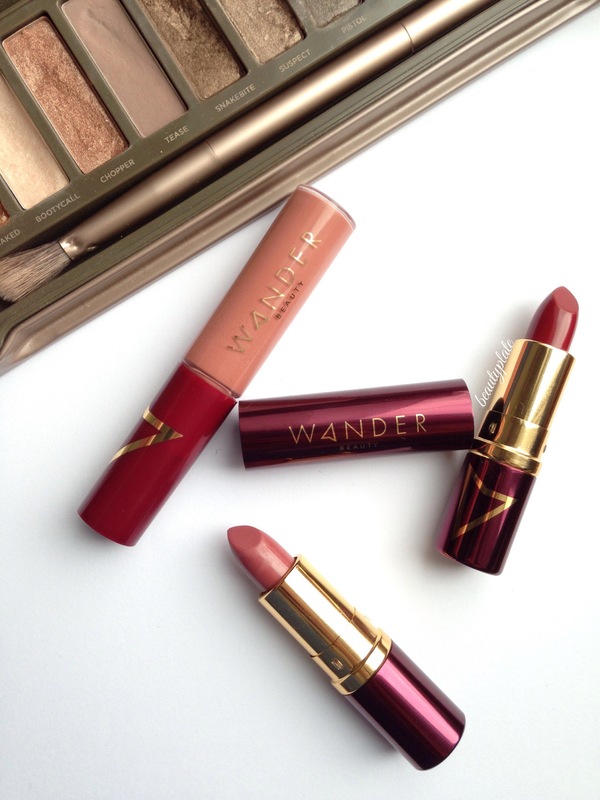 Definitely a travel friendly product like WanderBeauty suggests their line to be. 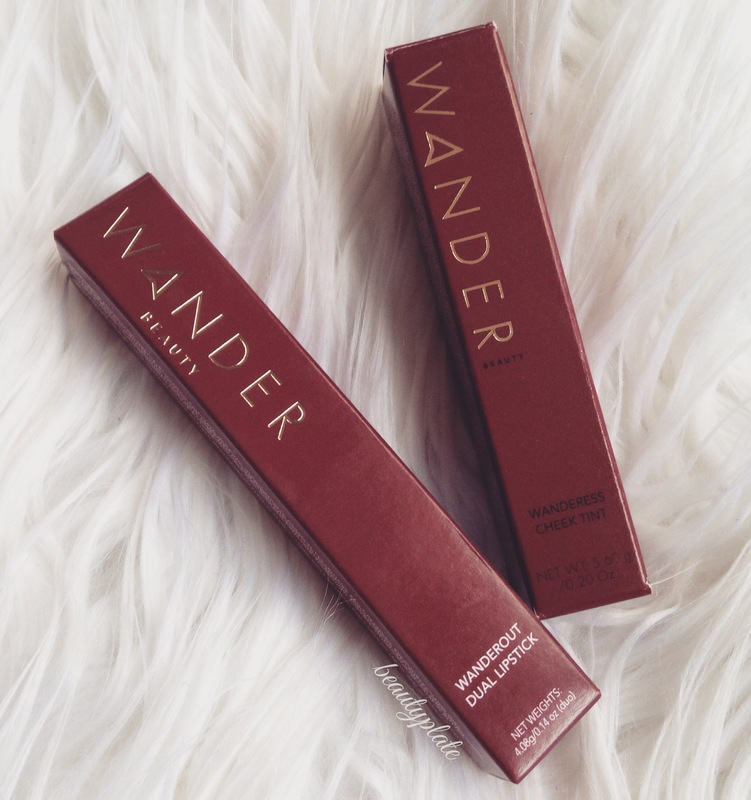 Wanderess Cheek Tint is available for $25 but ONLY on WanderBeauty site. Click here to view. Overall, I really enjoy the luxury and simplicity of these 2 products. 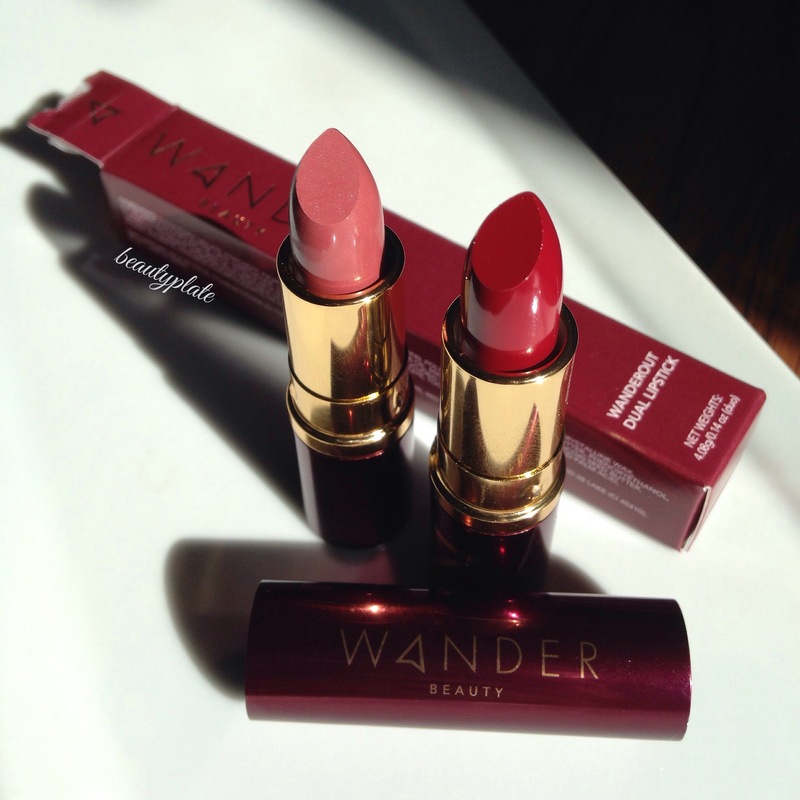 I can not wait to try more of the WANDER Beauty brand. Has this brand grabbed your attention?